As the draft law on the reintegration of the Donbas is being prepared for the second reading, appeals have been made to include Crimea in its name, so that the restoration of Ukraine's territorial integrity sounded as a single formula. QHA asked the people's deputies, members of the relevant Committee for National Security and Defense, whether it is appropriate. According to the MP from the Petro Poroshenko Bloc, Secretary of the Verkhovna Rada Committee for National Security and Defense Ivan Vinnik, in May 2014 the law on the status of the occupied territory of the Crimea was adopted, which defines both the date and subjects of occupation, the issues of the jurisdiction of legal acts and so on, thus a lot of questions regarding Crimea have already been settled. People's Deputy believes that the liberation of the Crimea will not be implemented in the way similar to liberation of the Donbas, since the Russian Federation recognizes its presence in the Crimea, and any attempt to liberate the peninsula by military-diplomatic methods will be regarded as aggression. On the Donbas the legal situation is completely different, where Russia does not recognize its presence, and the de-occupation of the ORDLO is possible by force. The People's Deputy from the People's Front faction and the Head of the Subcommittee on Military Security and Defense of the Verkhovna Rada Committee on National Security and Defense Affairs Yuri Bereza believes that 39 amendments to the title of the law only can just delay its adoption. According to the people's deputy, it would be more appropriate to make a general title: "The Law on Occupation," and then to determine in the text that both the territory of the Crimea and the territory of certain districts of Donetsk and Luhansk regions are occupied. 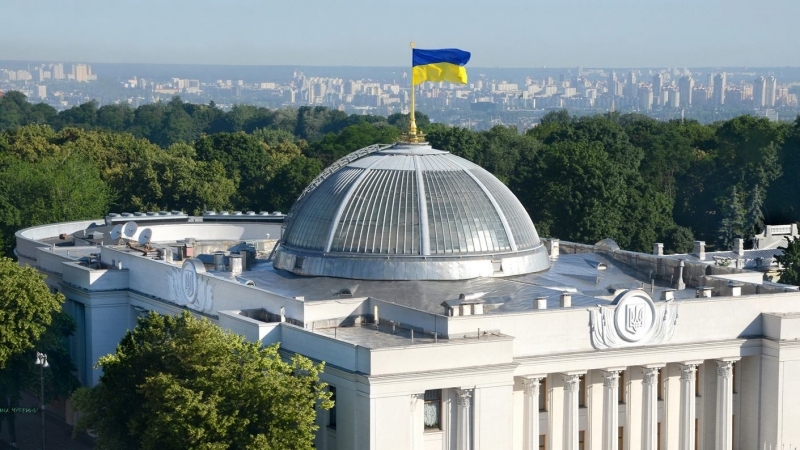 Earlier, October 6 Verkhovna Rada of Ukraine adopted a presidential bill on the reintegration of Donbas in the first reading. The same day the People's Deputy of Ukraine and the Head of the Mejlis of the Crimean Tatar people Refat Chubarov stated that he was ready to submit proposals on Crimea to the law on reintegration.